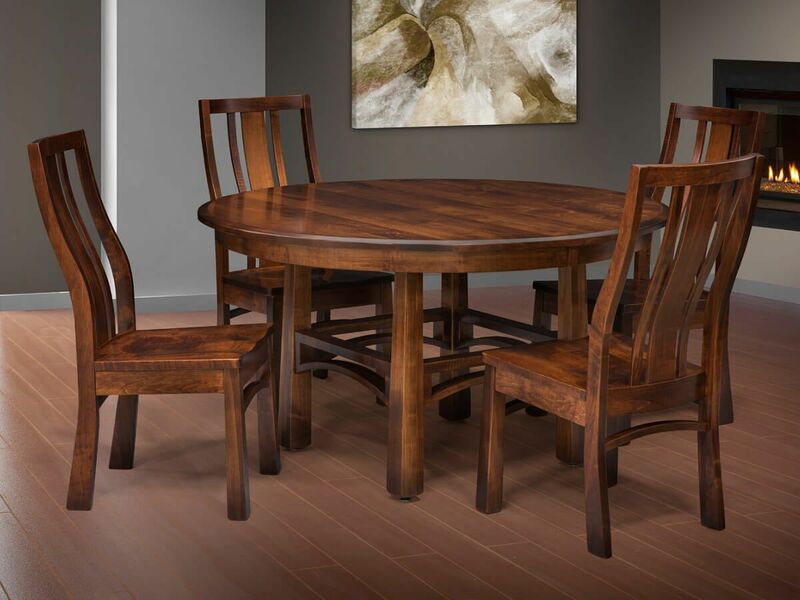 Handcrafted by our Amish artisans, the Encheandia Dining Table is a one-of-a-kind piece made in your selected hardwood then hand-rubbed with stain. From the one inch of solid American hardwood that becomes your table top, to the arm chair fitting 26 ½” floor to apron height, our Encheandia Dining Table is an art-deco inspired masterpiece. 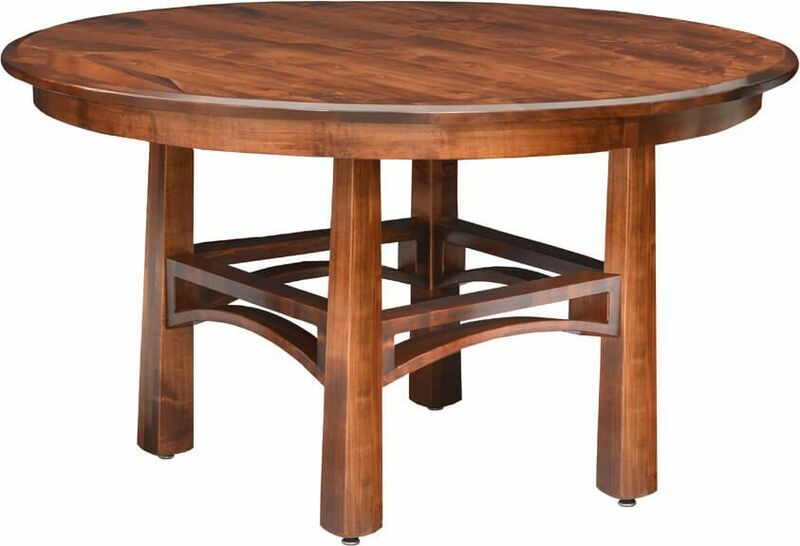 Somewhat a hybrid of leg and pedestal table, this grand piece is fully customizable and unique. Available in both solid and extendable options, the Encheandia's table top is hand cut into the round or straicut shape. Select up to two leaves and they will move with ease along geared slides. 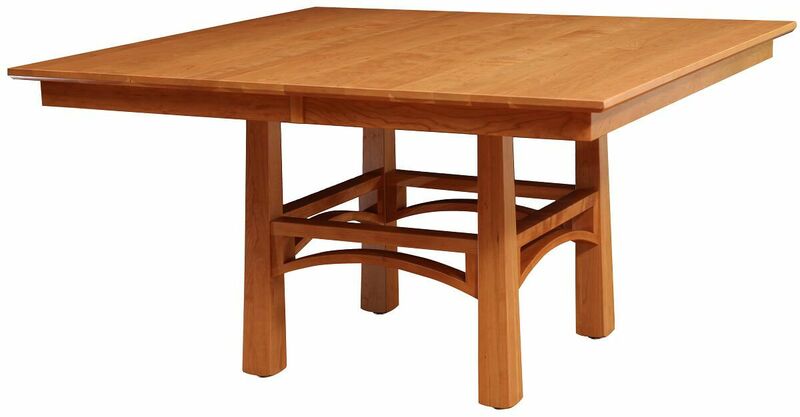 Comfort and artistry marry in the Encheandia Hardwood Dining Table as the arching base is connected by sturdy legs that are reinforced to stand up to every occasion. Each unique leg is made exclusively of the hardwood you have chosen for your Encheandia and includes a leveler to keep an even dining surface. Renewable American hardwood is stained and rubbed by hand to bring out the beauty of the grain before it is sealed by a catalyzed conversion varnish. From wood species to stain to edge profile, the Encheandia Dining Table is a customizable icon that will be passed down for generations.